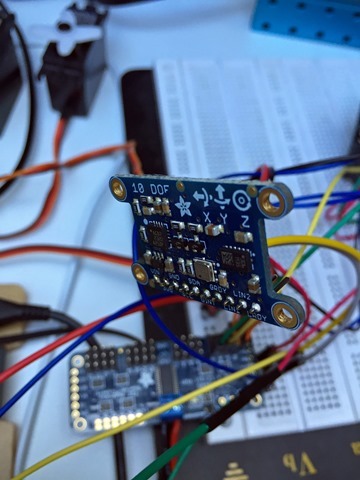 For detecting small altitude changes, reading the barometric altitude, or for just detecting changes in pressure, you may want to use a pressure sensor. The Bosch BMP-180 is a very reasonably priced one, which is accessed over I2C. There are several nice breakout boards available from Adafruit.featuring the BMP-180. There is, for example, one featuring only the BMP-180, and another one featuring gyros and accelerometers as well. No matter which, you would access it in a similar fashion. As usual, before you start, you need to install PI4J and set up the Rasberry for i2c communication. Next decide in which mode you want the device to run. Check out the OperatingMode for details. The higher resolution, the longer time it takes to read values, and the higher the current draw. The Bosh BMP-180 is an easy way to measure the barometric altitude and/or changes in pressure. 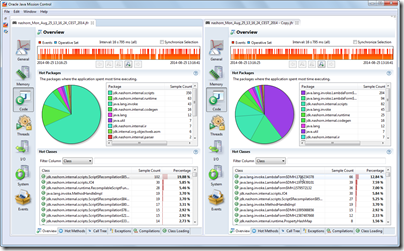 Java Mission Control 5.5.0 Released! 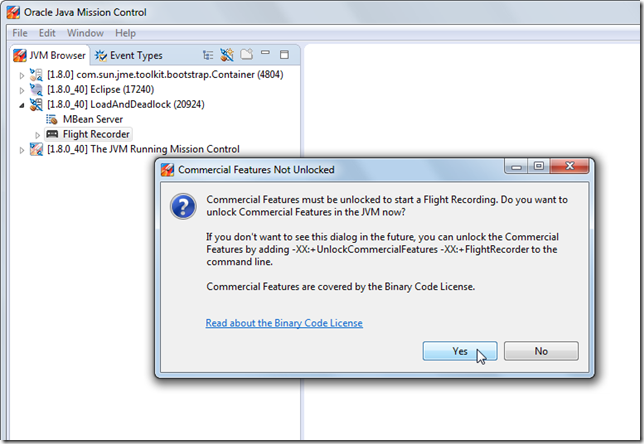 The latest version of Java Mission Control was released a few moments ago, together with Oracle Java SE 8u40. It’s a minor release; most of the development is taking place in the upcoming major version of JMC, but there are nevertheless some interesting features and fixes in this release. I have selected a few of the highlights below. 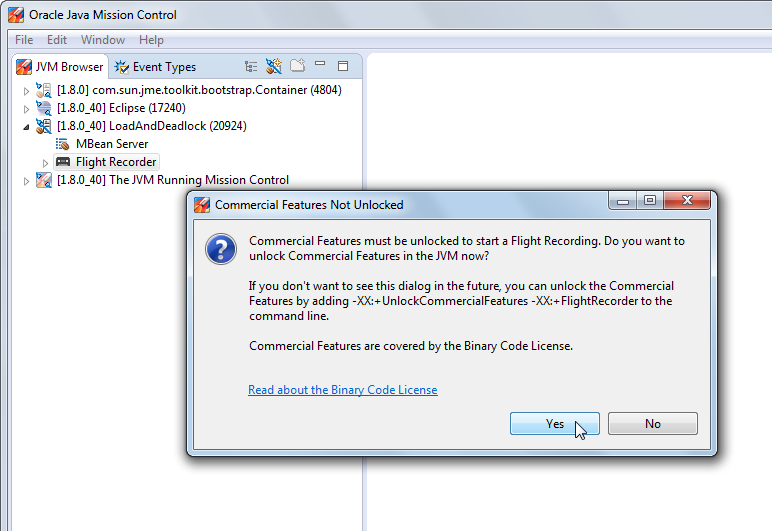 Clicking yes will dynamically enable the Flight Recorder and allow you to start recordings. 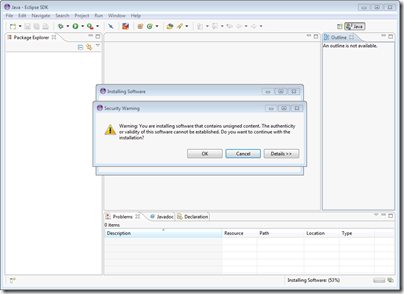 Up until now we have based the JMC RCP application on Eclipse RCP 3.8.2. 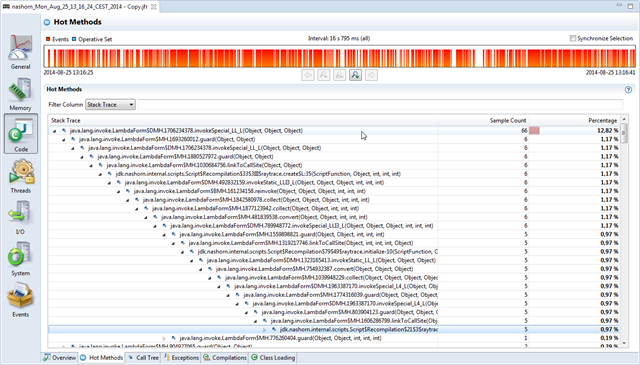 The reason was due to a performance problem when running with Eclipse RCP 4.x. 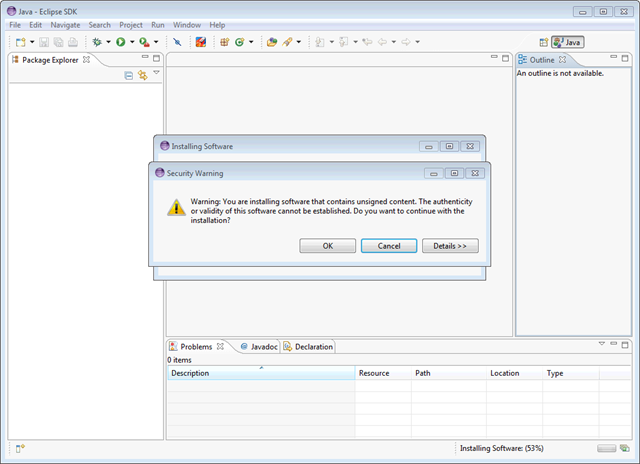 For JMC 5.5.0 we worked around this problem, and are now using Eclipse RCP 4.4. 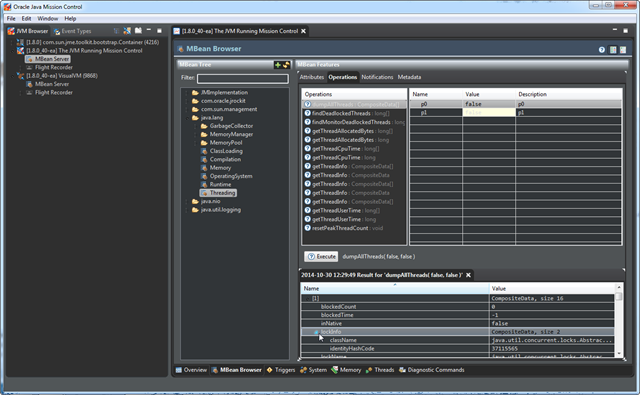 As a result, JMC will also feel much snappier when running inside of Eclipse, as a set of Eclipse plug-ins. 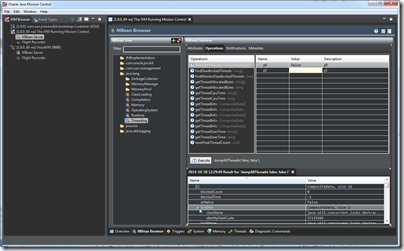 It is supported to run JMC in the very latest version of Eclipse, and the speed should be comparable to running in Eclipse 3.8.2. Looking at recordings from applications running in implementations of dynamic languages making heavy use of Lambda Forms will be much friendlier. 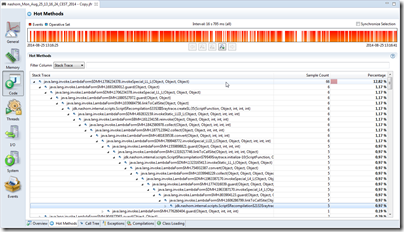 Say, for example, a recording of a Java Script application running on Nashorn. Just like the JVM by default hides @hidden annotated Lambda Form methods, so will JMC. If you still want to see them in all their glory, the setting can be toggled in the preferences.